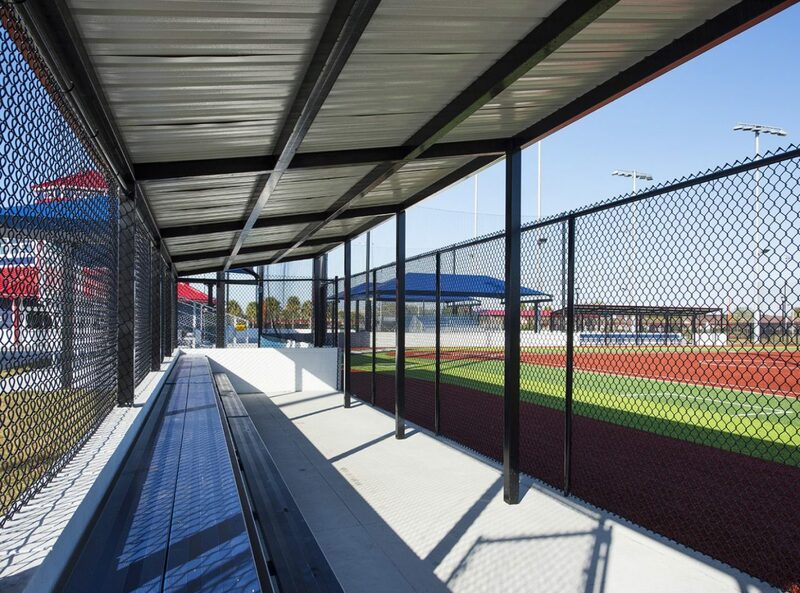 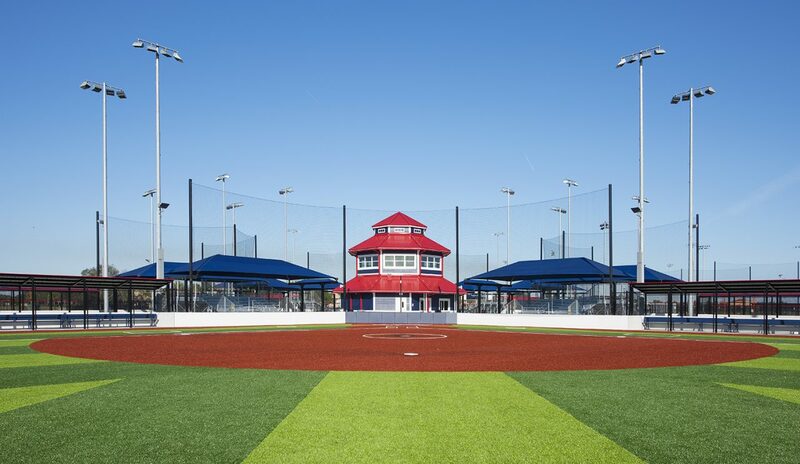 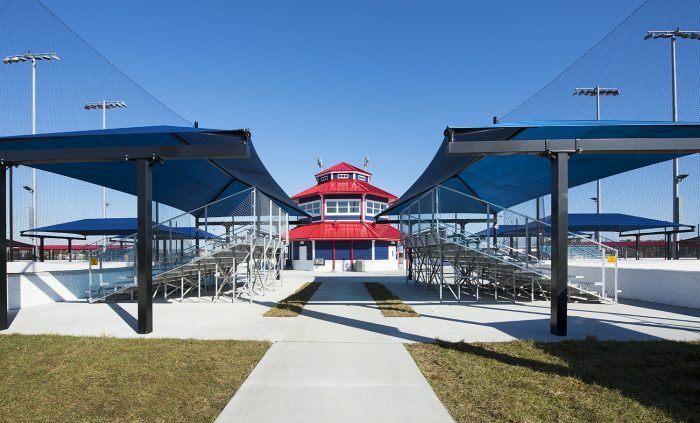 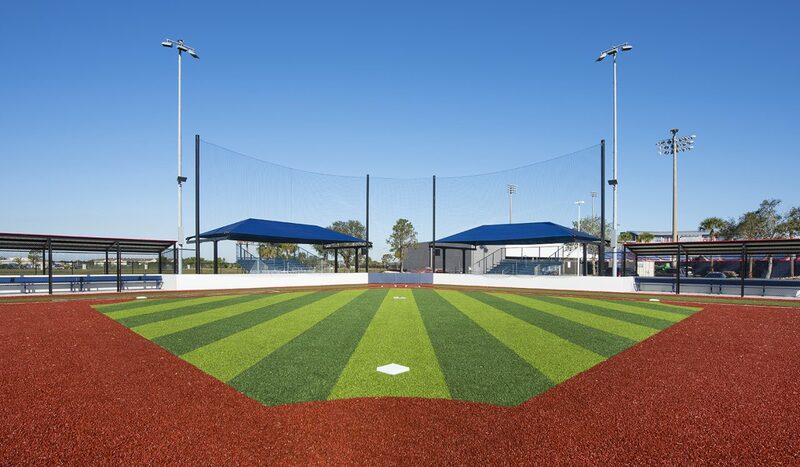 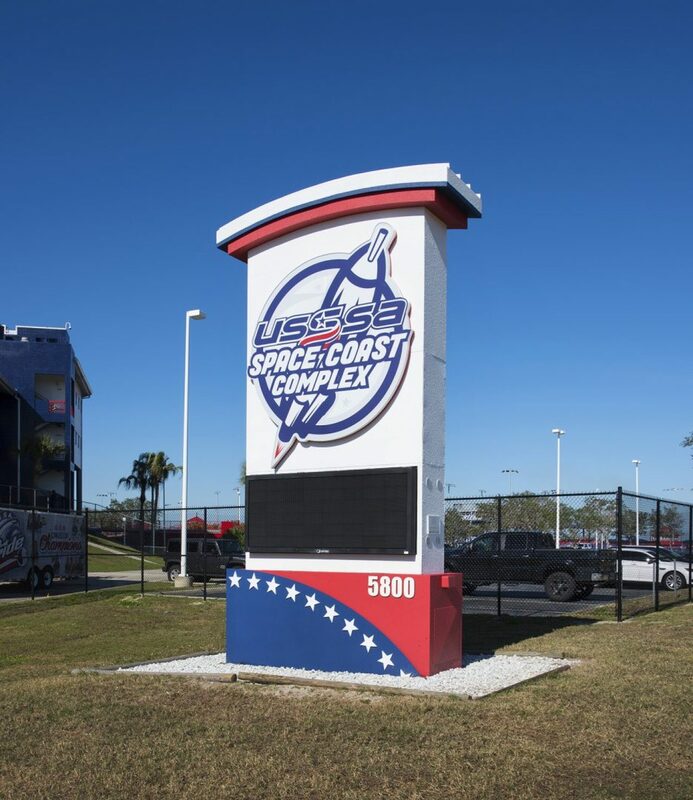 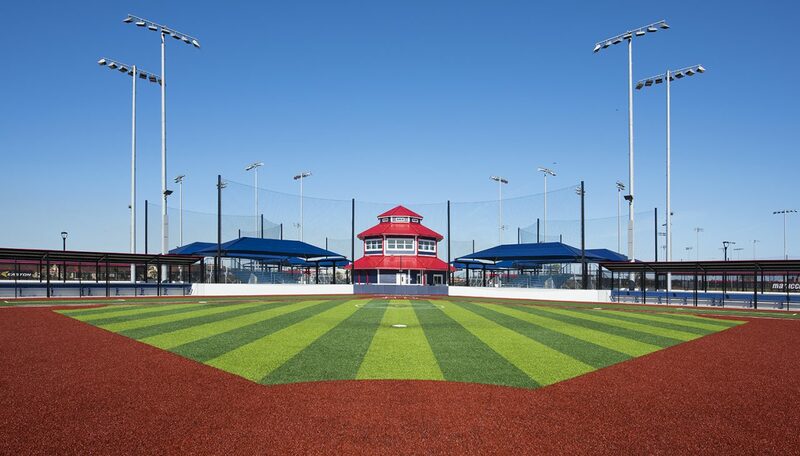 USSSA Space Coast Complex | Wharton Smith, Inc. Encompassing 1.3 million square feet of turf on 85 acres, the new USSSA Space Coast Complex consists of a new 8,100-seat championship stadium, eight new multi-purpose fields, a new youth field, and two new two-story concession buildings. 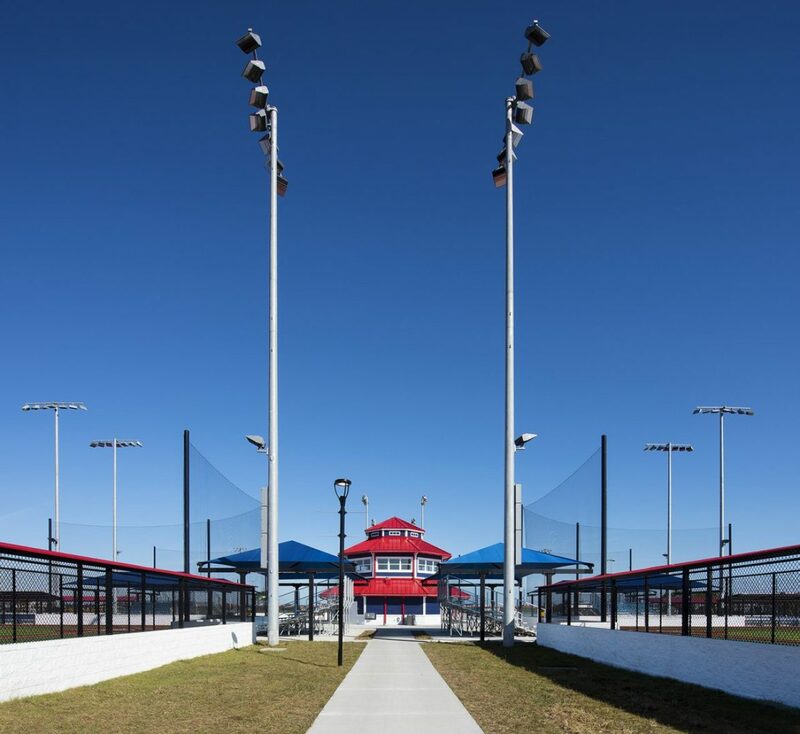 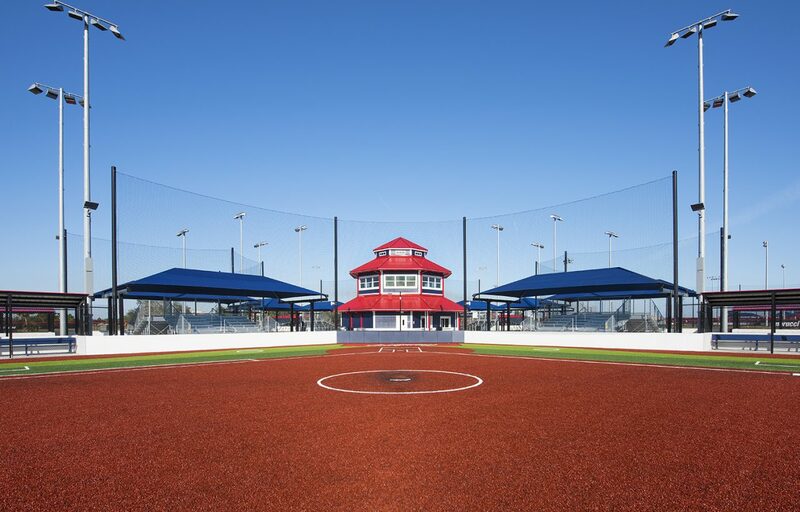 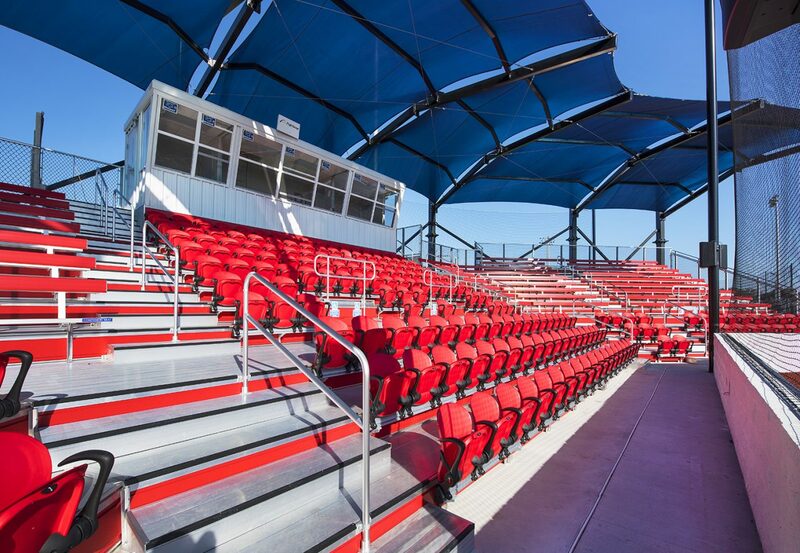 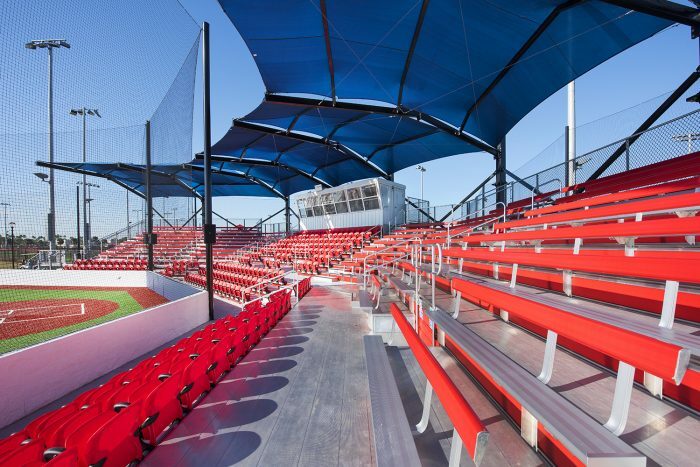 Each field includes dugout structures, backstops, netting, bull pens, score boards, seating, shade structures, and the latest LED lighting technology. Renovation of the stand-alone, 1,500-seat training facility and batting cages used by the stadium’s previous tenant, Major League Baseball’s Washington Nationals was also included in the project. 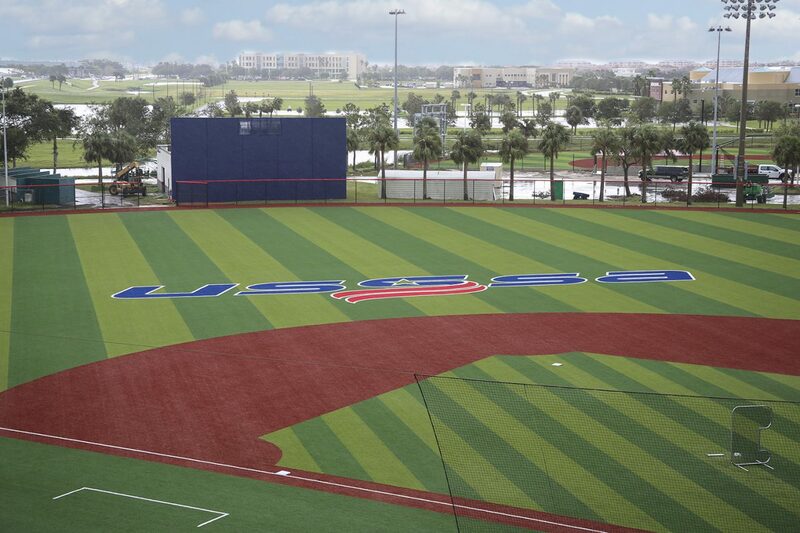 The existing stadium turf and practice fields were converted from natural turf to full synthetic turf. 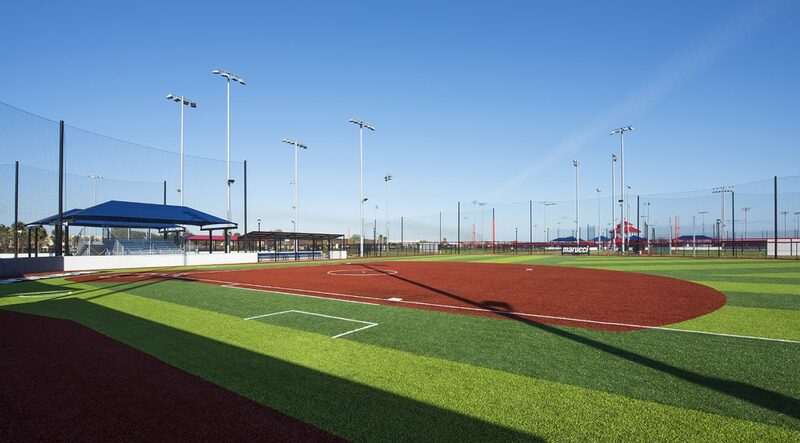 In total, the complex has 15 championship all turf fields along with new parking lots, sidewalks, underground utilities, landscaping, and general civil infrastructure site development work. 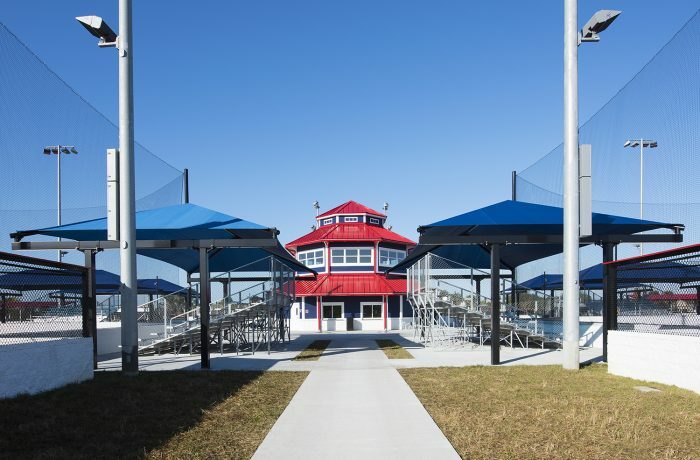 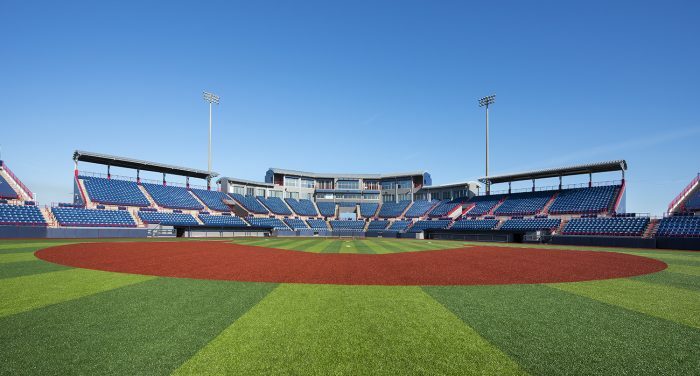 The recently completed sports complex is the new national headquarters for USSSA and home to their professional softball franchise, the USSSA Florida Pride. 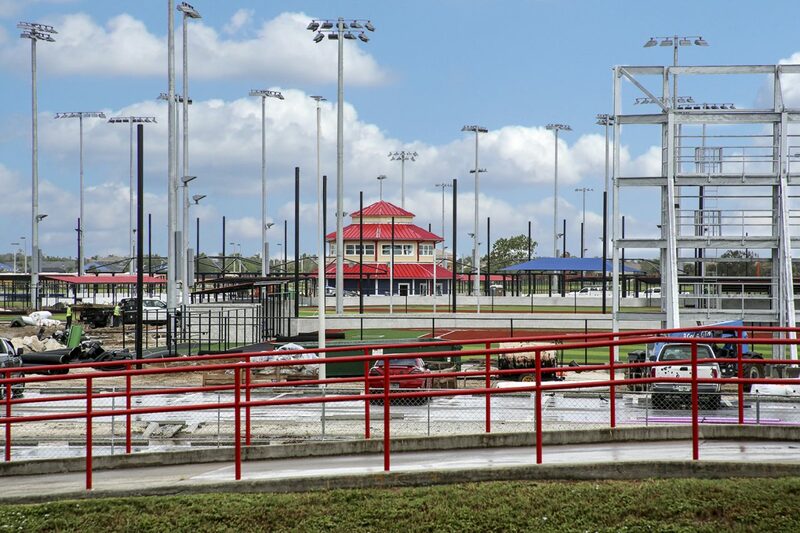 Watch below to see the complex under construction.